Whether you work with WordPress full-time or just as a hobby, one thing’s for sure – you’re reading this because WordPress means something to you. Now, as much as WordPress is mostly work for many of us, I am of the firm belief that it shouldn’t be just about work. No, there’s definitely some elements of fun you can attach to this CMS. So I brainstormed the list below of 50 things to do with WordPress before you die. Some things are fun, some are work, some are lofty goals to set yourself, and other are just good old fashioned nice things you can do for the WordPress community. Yes, below you’ll find your WordPress bucket list. And not just your bucket list, mine too – I’ve marked the ones I’ve completed myself, though I still have a ways to go. So scroll through, count how many you’ve achieved, and share your score out of 50 in the comments below. Note: I’d love to come up with another 50 things for a full list of 100 things to do with WordPress before you die. So if you have any suggestions, share them too! Website with 1000 visits a day. Whilst there are plenty of ways to make money with WordPress, it is in its essence an open-source community, which is supported by hundreds of individuals with no direct remuneration related to WordPress. The community is only able to move forward if people actually give back to the WordPress project and the community around it. Have you contributed yet? What are you waiting for! WPMU DEV CTO Aaron Edwards at WordCamp Austin in 2014, obviously having the time of his life! A typical conversation with Tim on Slack. Not me, it’s Timothy Bowers from WPMU DEV with Matt Mullenweg. 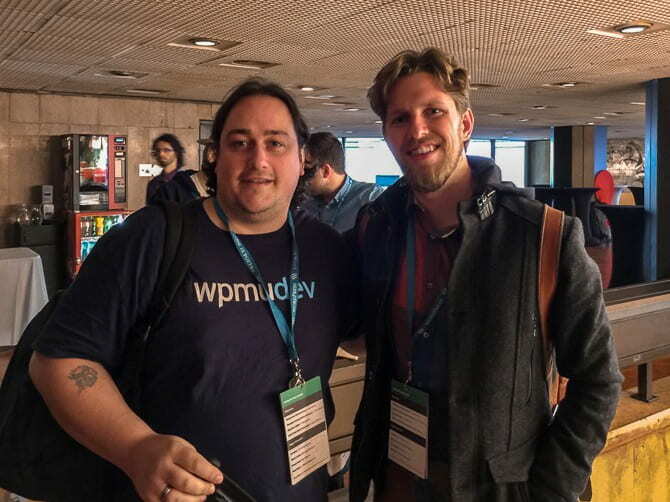 Some of the WPMU DEV team at WordCamp Europe in Seville in 2015. That's it! These are 50 of the fun things I'd love to do with WordPress before I kick the bucket. How many of these have you done already? Now let me challenge you: I want to get at least another 50 things to do which are different from mine. If we can get to 100, so much the better. The more, the merrier! Let me know in the comments below. What an awesome post! Thank you. +100 for all of the points related to Contribute to the WordPress Community. WP wouldn’t be what it is without the WordPress contributors…and help is always in needs and / or welcome! Meet Joost de Valk (Yoast SEO). How long does it take to become a Code Norris? Funny post. I have done many of the point out of necessity like: clean a hacked WordPress site. You can view how many points you need for each level in your hub page. 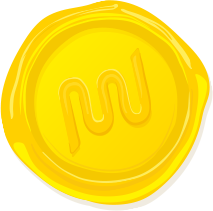 By clicking the Earn Button in the Reputation points section, or via your profile page. Then click the Gold points icon. What’s your count Camilo? Got any more suggestions for us? I’m not sure if you’re aware of Chris Lema? He runs something called CigarCamp, it’s where a bunch of WordPress folk get together to relax, have a drink, chat and just have a little fun whilst smoking cigars. Chris also regularly Tweets about his humidor and cigars. It’s all about making friends / relationships in the WordPress community. Whether that’s over a cigar, a beer, a soft-drink or a glass of water – the important thing is, when you’re around influencers you’re bound to learn more. I am reading a lot of comments here by people who think this post was a “waste of time”. But I think it is all about perception. I think this was a wonderful post. If you are a developer, you are probably not in it just for the money. Heck for a lot, the money is not even that great. But it is the fun of being able to create something and achieve that next milestone. I removed one of the comments on this post, it’s a little insulting to David’s (the author) work and unfair. I do often find those that take pleasure in casting the first stone are often people that never really put anything of their own out there which can be criticised, scorned and mocked in much the same way as they do to others. Hey ZeeMaster – thanks for your comments. Just like you said, I really haven’t done many of the items in the list – but many of them are truly things that I’d really love to be able to focus on – aspirations if you may. What fun, got me thinking too! My score: 37 To Do, 7 Done, 5 Works in Progress, and 1 Maybe (Getting a Tattoo). Kinda abysmal IMHO. Any suggested reading to accomplish this amazing feat? What did you do? Sounds like a potential WPMU DEV article! Looking forward to seeing where I’m at this time next year! A possible addition: Contribute to naming a WordPress version (many jazz greats left). Yeah – naming a WordPress version would be a real feather in your cap! Hi David ! Best read this week so far! Thx for sharing. Btw.. Your author info at the start of the article, and specially your site, dart creations got me thinking… You write a lot about WordPress but your own site is based on Joomla. Could you explain why? Im asking because i’m in the middle of doing the opposite, moving from Joomla to WordPress. Have a nice weekend, and god(or whatever you care about) bless us all after this day (We need it). Hey Rasmus – thanks for your comments :-) Happy you like it! Ahh my site based on Joomla, interesting and long story – I’ll give you the short version. Back when I started with web design, we used to hand-code most sites … one day I ran across something called Joomla – the first ever CMS I was exposed to and my life changed overnight. Things were so much easier I wondered how I could ever have lived without it before. It was round about the same time that WordPress was also picking up, but I came across Joomla first. As I learnt all about Joomla, I blogged about in on DART Creations – a Joomla based site. As I grew in web design, I did come across WordPress, but it was a very different beast back then. Very very insecure and not at all the mature product it was today … so I looked past it and stuck to Joomla. Still kept blogging over the years and now times have sorted of changed. WordPress seems to be much better off than Joomla – for sure in terms of growth and popularity. In the meantime, the site had grown much too much to be able to afford a migration without much blood, sweat and tears. So Joomla it remains :-) I still build and administer sites with both Joomla and WordPress. You too – have a great one. Don’t worry too much about today and the rest of it – I’m sure there are more sensible people out there who know right from wrong (mostly). Awesome post. Number 3 is clearly the hardest but also the most important. I have tried that so many times but never got through more than 20 or so days in a row. Yeah, do it first thing in the morning and get it out of the way (eat your frog). And you know that good things happen when you blog daily, so I don’t need to tell you about it! You’ll get there eventually. Don’t get discouraged though, I’m still in my low twenties in the terms of the list. If you want to complete #31, drop me a line … I’m sure we can find ways to help each other! Not sold on getting a tattoo, but definitely support #50! For those 4 items, I’m just like you!! I still need to do both of those :-) I’m hoping they’re relatively easier than the more involving ones on the list! I would like to add #51, find David Attard at the next WCEU and give him swiss chocolate and a hug!! It’s a great article! As I’m a newbie in web design, this information is useful for me. I’ve started working on my first website using wordpress business themes on , and I’m glad that I found this post. Thank you! Keep at it Ruby and good luck!